Like many others, I have watched the Jordan Peterson phenomenon unfold with a certain fascination. If you don’t know what I’m talking about, you don’t spend a lot of time on social media, for Peterson, a mild-mannered psychology professor from the University of Toronto, has emerged as one of the hottest personalities on the internet. He is followed by millions of people, especially young men. His lectures and presentations — cool, understated, brainy, and blunt — are avidly watched and commented upon. 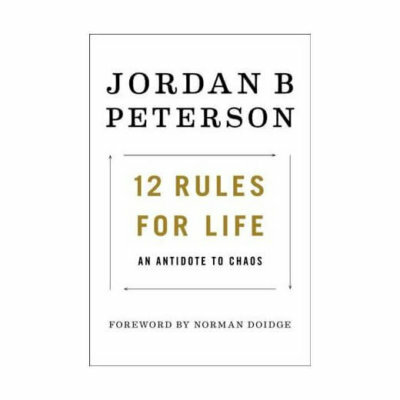 And his new book, 12 Rules for Life: An Antidote to Chaos, is a number one bestseller all over the world. Moreover, Peterson’s spirited and articulate opposition to the imposition of speech codes in his native Canada has made him a controversial political player, a hero of free speech to his supporters and a right-wing ideologue to his detractors. His interview with Cathy Newman of Channel 4 News, during which Peterson’s interlocutor revealed herself as a hopelessly biased social justice warrior, has, as of this writing, been viewed 7.5 million times. In many ways, Peterson is doing for this generation what Joseph Campbell did for the previous one, namely, reintroducing the archetypal psychology of C.G. Jung in an appealing and provocative manner. Jung’s theorizing centered around what he termed the archetypes of the collective unconscious, which is to say, those primordial instincts, insights, and memories that influence much of our behavior and that substantially inform the religions, philosophies, and rituals of the human race. The Jungian template enables Peterson to interpret many of the classical spiritual texts of Western culture in a fresh way—those very texts so often excoriated by mainstream intellectuals as hopelessly patriarchal, biased, and oppressive. It also permits him to speak with a kind of psychological and spiritual authority to which young people are not accustomed but to which they respond eagerly. His new book, an elaboration of twelve basic psychological rules for life, makes for bracing and satisfying reading. Peterson’s considerable erudition is on clear display throughout, but so is his very real experience in the trenches as a practicing psychotherapist. His advice is smart indeed, but it never seems abstract, detached, or unrealistic. In the course of this brief article, I can only hint at some of his fascinating findings and recommendations. A theme that runs through the entire book is that of the play between order and chaos, symbolized most neatly by the intertwining fish of the Tao image. Human consciousness itself, Peterson argues, sets one foot in the former and the other in the latter, balancing the known and the unknown, the settled and the unexplored. Too much of one, and we fall into complacency, routine, and at the limit, tyranny; too much of the other, and we lose our bearings completely, surrendering to the void. I have shared just a handful of wise insights from a book that is positively chockablock with them. So do I thoroughly support Jordan Peterson’s approach? Well, no, though a full explication of my objection would take us far beyond the confines of this brief article. In a word, I have the same concern about Peterson that I have about both Campbell and Jung, namely, the Gnosticizing tendency to read Biblical religion purely psychologically and philosophically and not at all historically. 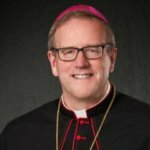 No Christian should be surprised that the Scriptures can be profitably read through psychological and philosophical lenses, but at the same time, every Christian has to accept the fact that the God of the Bible is not simply a principle or an abstraction, but rather a living God who acts in history. As I say, to lay this out thoroughly would require at least another article or two or twelve. On balance, I like this book and warmly recommend it. I think it’s especially valuable for the beleaguered young men in our society, who need a mentor to tell them to stand up straight and act like heroes.